As the old saying goes, breakfast may just be the most important meal of the day. While breakfast foods are some of the best foods out there when they’re prepared right, we’re often too busy to do breakfast the way we really want to. Sure, we’d all like to have a Denver omelette and some perfectly cooked bacon before heading off to work—but we often just don’t have the time or the energy. Even a simpler option like a creamy avocado toast can take too much time. Fortunately, you can still have the best of both worlds if you’re willing to change your approach to breakfast. No matter what your ideal first meal is, planning ahead and using some simple tricks can make your morning on-the-go that much more delicious. With all this in mind, here are 10 simple breakfast hacks for anyone whose mornings are particularly busy. 1. 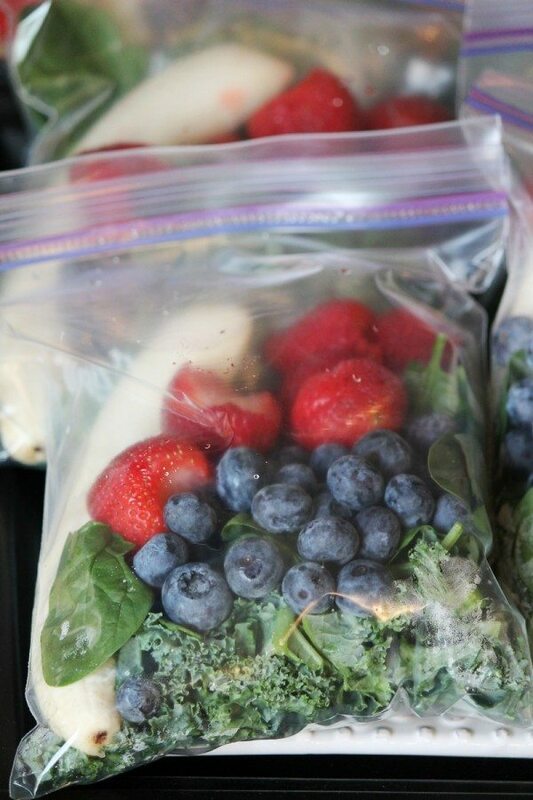 Make a set of smoothie bags for easy blending in the morning. If you’re not looking for a particularly heavy breakfast, having a nice and refreshing smoothie can be a great way to start your day. Still, having to do all the prep work can make a huge mess and take up a ton of time when you’re in a hurry. Instead, get a bunch of Ziploc bags and fill each one with a single-serve amount of smoothie ingredients—fruits, powders, seeds, whatever. Throw these bags in the freezer and in the morning you can grab one, blend it and hit the road. You can even leave the blender in the sink for when you get home. 2. Prepare your oatmeal the night before. Although instant oats are already pretty fast, you can speed the process up by making your oats overnight. To do this, get a big glass jar or container and fill it with oats, spices, fruit and whatever else you typically have in your bowl. Pour in about 1/3 to a 1/2 cup of milk and stir everything up. Seal your container and let it sit for about five hours. In the morning, your meal will be ready to go. Depending on your ingredients, these mixtures can last for two to five days in the fridge. 3. Make a ton of hard-boiled eggs. 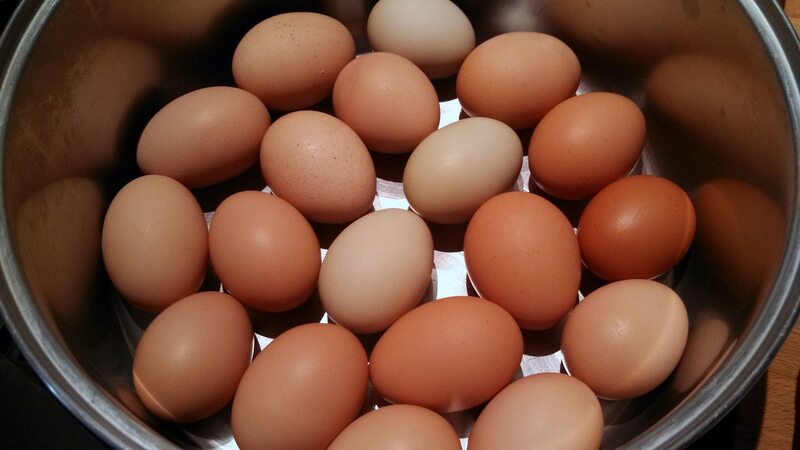 Ok, so this tip seems extremely obvious… but have you ever noticed you don’t have a hard-boiled egg when you want one? To put it simply, making just one hard-boiled egg is a complete waste of time—particularly because it take about 10 to 15 minutes to do. Instead, make a whole bunch of them at once and keep them in your door. In the morning, grab a few for the road and you’ll be good to go. 4. 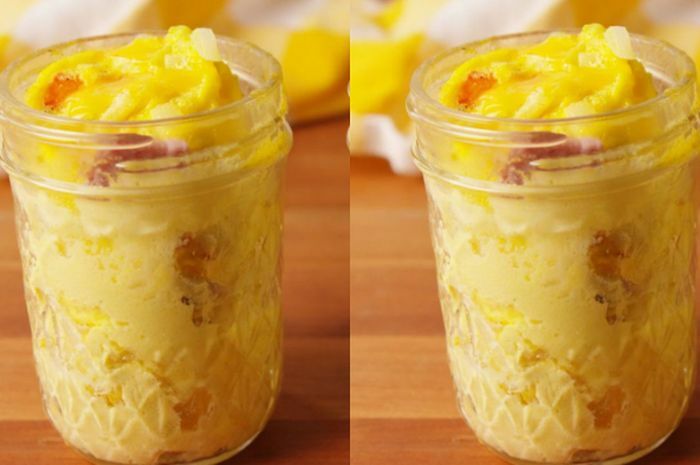 Try out some mason jar omelettes. We all have plenty of mason jars lying around the house, but we bet you haven’t put them to use in your breakfasts! As it turns out, you can actually make quick omelettes in the microwave by using a mason jar. Just crack your eggs in the jar, add in your fillings and beat everything together. Throw it in the microwave for about two minutes and cover the top with a paper towel. Once it comes out, it should be ready to go—you can even throw a lid on it and take it on the go. 5. 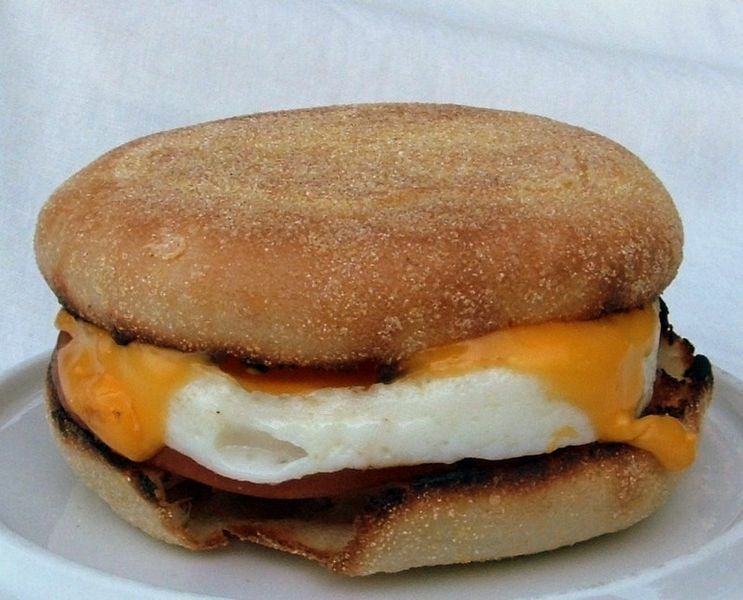 Prepare yourself some egg breakfast muffins. Although normal muffins are delicious as well, they sometimes pack too much sugar and carbs for us to eat in the morning without losing our momentum. 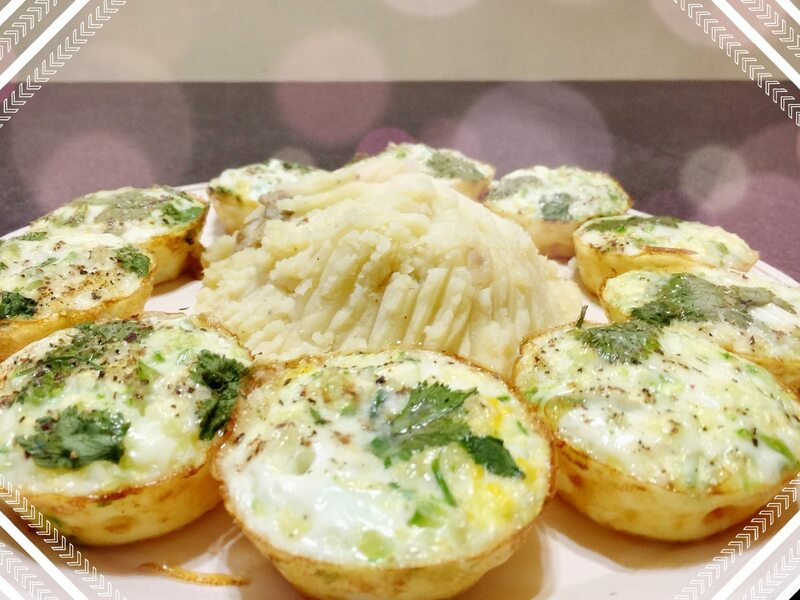 Instead, you can use a muffin tin to bake savory egg-based “muffins” that are full of protein and won’t slow you down. Simply blend together a bunch of eggs with other ingredients like cheese, spinach and bacon (though make sure it’s at least partially cooked first). Bake in the oven at 350 degrees for about 20 minutes. Once they’re ready, you can put them a container and eat them as necessary throughout the week. 6. 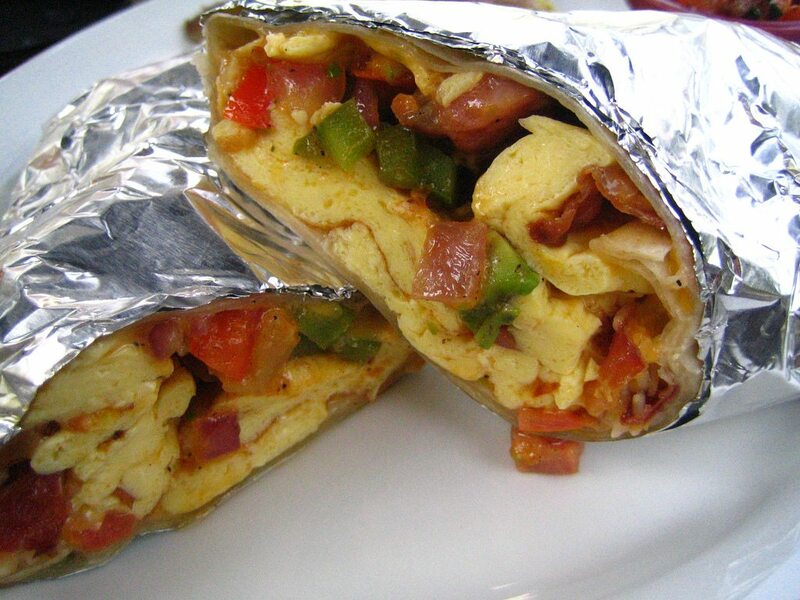 Make a bunch of your own breakfast burritos. This one is a personal favorite. After all, there’s nothing quite as good as a well-made breakfast burrito in the morning, right? To do this, get some aluminum foil, burrito wraps and whatever fillings your heart may desire. For this to work out correctly, any eggs or meat you put inside these should be pre-cooked! Simply cook your filling, put it in your wraps and wrap the burritos in aluminum foil. Throw them all in the freezer. In the morning, peel the foil back, microwave for one to two minutes and rewrap in the foil for a snack on-the-go. Easy! 7. Similarly, you can also make your own frozen breakfast sandwiches. We know that there are pre-packaged ways to do these same things, but where’s the fun in that? Plus, any of those factory-made sandwich come with all kinds of extra preservatives and ingredients you don’t want. Anyway—start by buying a package of English muffins and slice them all in half. Fill each one with a slice of cheese, some sliced meat or a cooked sausage patty. Once each one is assembled, wrap each one in foil and throw in the freezer. In the morning, unwrap and cook for two minutes in the microwave, again re-using your foil as a wrapper. If you’re feeling more ambitious, you can even pre-bake eggs for these! 8. 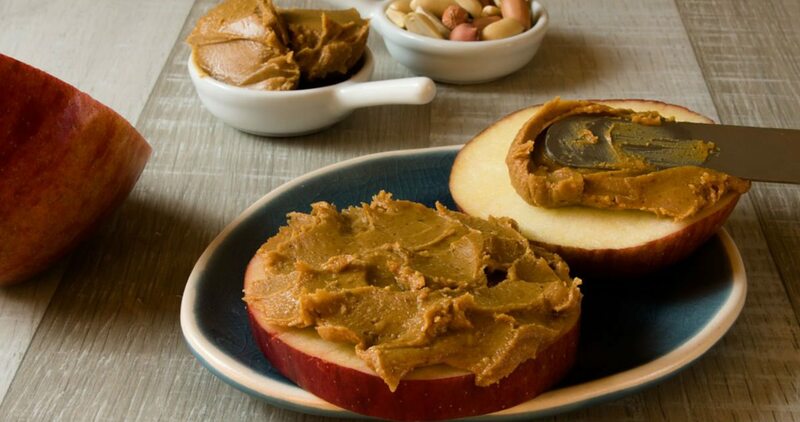 For even lighter breakfasts, how about some apple sandwiches? For anyone trying to eat very light while still packing in the energy, why not try some layered apple sandwiches? Simply get some apples, core them and slice them horizontally into layers. Between each layer, add a smear of peanut butter or almond butter and some grains for energy—maybe chia seeds, hemp seeds or granola. Add a pinch of cinnamon maybe and close it up with another slice of apple. 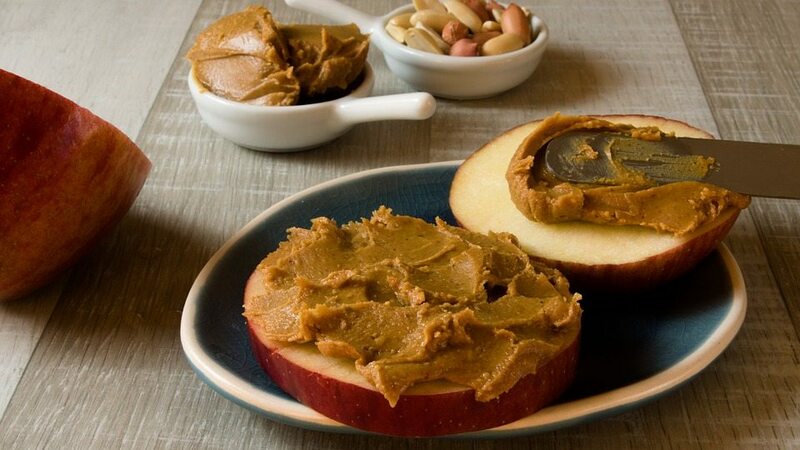 Make a bunch and keep these in the fridge for easy eating in the morning. 9. Try some super-powered cereal instead of the sugary stuff. A good bowl of sugary cereal is great, but it often leads to a sugar crash shortly after. 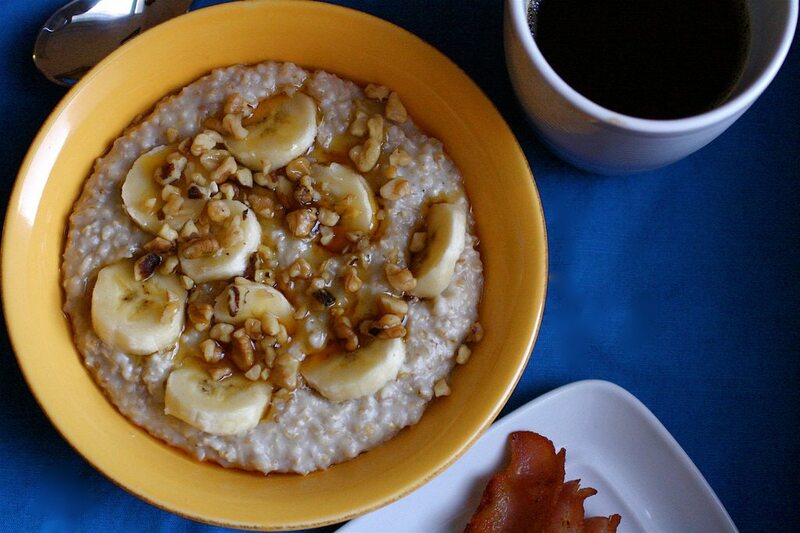 Instead, try this twist on cereal that still provides the sweetness along with the sustenance. 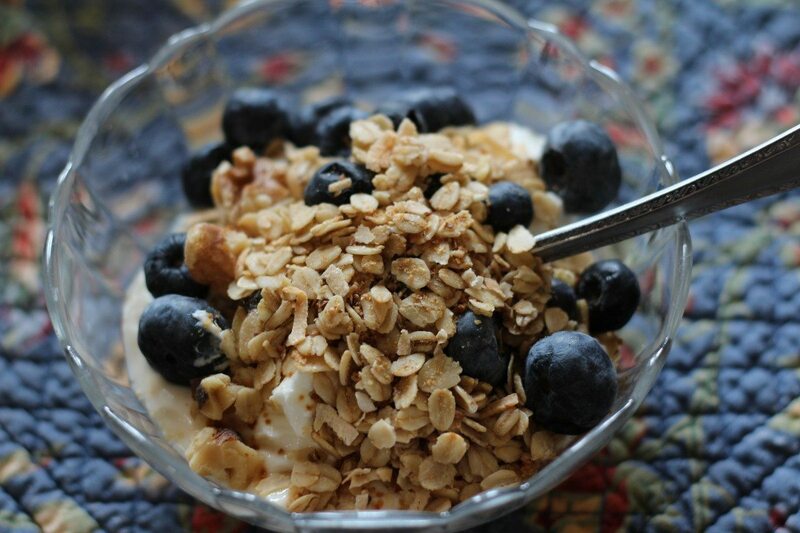 Choose a healthy, low-sugar granola and pick out some blueberries or raspberries as well. Finally, get some nice and strong dark chocolate (the darker, the better). When you pour yourself a bowl in the morning, throw in a handful of berries, shave in some dark chocolate and pour in your milk. With almost no extra time, you’ve dressed up your morning cereal into something that will supercharge you throughout the day. 10. 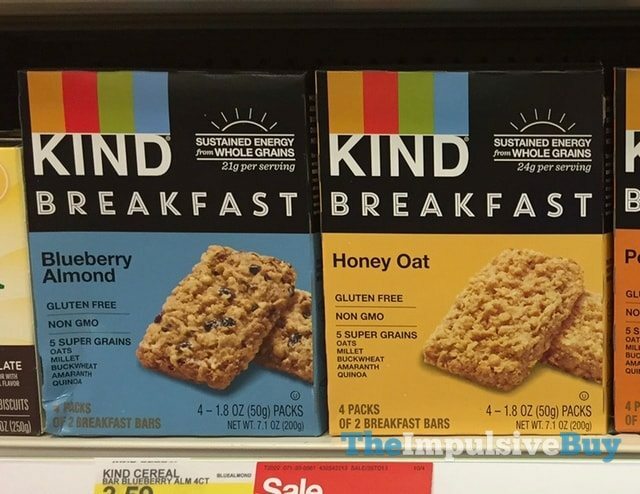 When in doubt, invest in some breakfast bars. Let’s face it: sometimes meal preparation is just a little too much to pull off. When the planning time has somehow slipped away from you, make sure to keep a box of nutritious and delicious breakfast bars on hand to get something in your belly before the day begins. Though we’ll leave the shopping to you, we suggest this list from Good Housekeeping as good research material to get started.